LONDON: Pakistan’s opening batsman Fakhar Zaman will be playing for Somerset county club, Samaa reported. Zaman, who played a key role in Pakistan’s Champions Trophy 2017 win, has been recently drafted in this year’s edition of Caribbean Premier League (CPL). 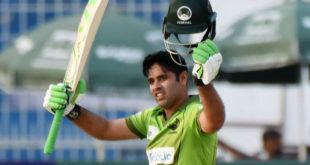 It is pertinent to mention that all Pakistani cricketers drafted in the Caribbean league have been issued No Objection Certification (NOC) but he has reportedly preferred to play English county. He will play for Somerset till 25th August.